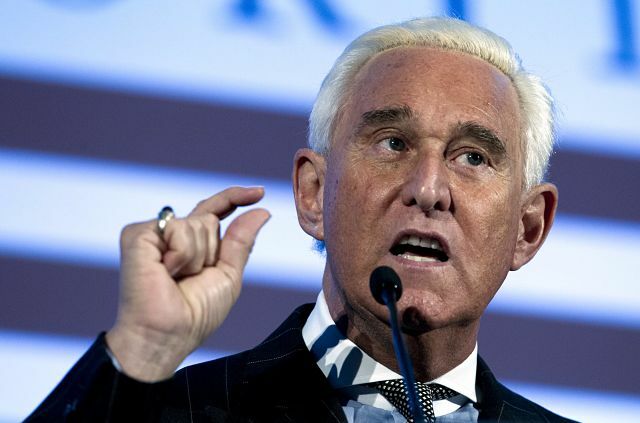 WASHINGTON — Roger Stone, a confidant of President Donald Trump, was arrested in the special counsel’s Russia investigation in a pre-dawn raid at his Florida home on Friday and was charged with lying to Congress and obstructing the probe. CNN aired video of the raid at Stone’s Fort Lauderdale home, showing FBI agents in body armor using large weapons and night-vision equipment, running up to the home and banging repeatedly on the door. The case against Stone comes weeks after Trump’s former national security adviser was castigated by a judge in open court and just hours before Paul Manafort, his ex-campaign chairman , was due in court on allegations that he had lied to Mueller’s prosecutors. According to the indictment, many of those conversations involved WikiLeaks. The indictment lays out in detail Stone’s conversations about stolen Democratic emails posted by the group in the weeks before Trump, a Republican, beat Clinton. Mueller’s office has said those emails, belonging to Clinton campaign chairman John Podesta, were hacked by Russian intelligence officers. After the July 22, 2016, WikiLeaks release of hacked emails from the Democratic National Committee, the indictment says a senior Trump campaign “was directed” to contact Stone about additional releases and “what other damaging information” WikiLeaks had “regarding the Clinton campaign.” The indictment does not name the official or say who directed the outreach to Stone.